magnIQ is unlike most conventional wall systems. magnIQ harnesses the power of magnetism, using metal panels with specially designed and engineered components – combining physics and engineering with powerful configured magnets. The magnIQ range of magnetic components can support weights up to 25kg. Our innovative magnetic wall system has seen the company gain numerous awards and commendations. Not only is the magnIQ system perfectly suited to displays, it’s also a perfect solution across other sectors. A member of the Shop and Display Equipment Association The magnIQ range is exclusive to Rare Basic, a UK based company which also specialises in unique display solutions. Our magnetic wall system offers instant flexibility. The magnIQ system delivered a flexible kit of parts that allows us to create many versions based on our promotional calendar requirements. 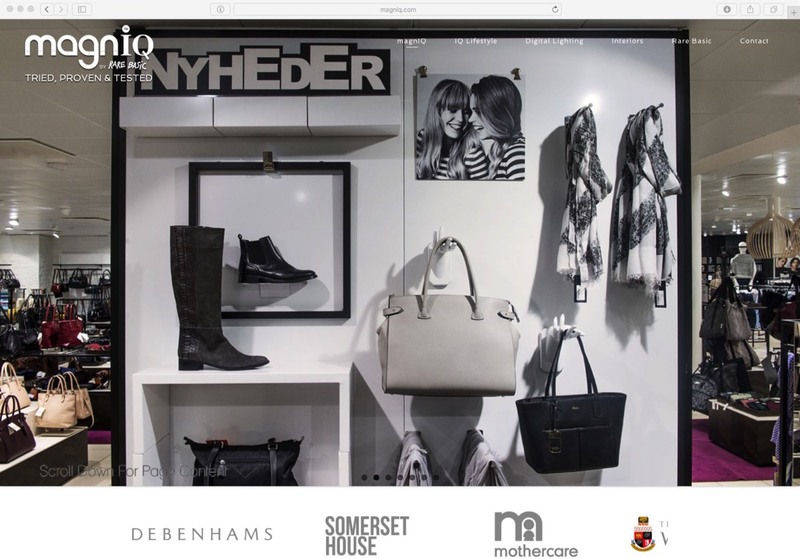 Its modern look & feel fits with our Brand and allows our store teams to deliver strong, clean and focused window promotions and is extremely user friendly.